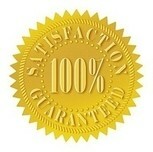 Welcome to the Singapore Fitness Industry's only TRIPLE Guarantee Program! 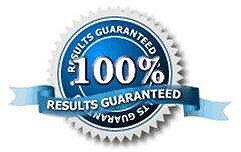 If you follow our program closely, you are GUARANTEED to get results. In fact, we are so confident of our ability to help you achieve your fitness goals, that we hereby offer you a 100% Money-Back Guarantee! Our challenge to you is this: if you complete ALL of the sections of our specific fitness program and are still not satisfied with the results, meaning that there are absolutely NO signs of ANY progress at all, we will gladly refund you ALL of your investment for that program. 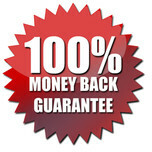 In order to receive your refund, you will have to FULLY participate in the entire program, attend ALL your training sessions, complete ALL the planned activities, submit ALL the required progress reports, ADHERE 100% to ALL our recommendations, advice and suggestions, and perform ALL of your requested fitness assignments THROUGHOUT the duration of your program. If you have satisfied ALL of the above criteria and conditions, and still have not seen a boost in your fitness, health, well-being or general aesthetics, we will happily refund you the FULL SUM of your investment. It's the least we can do to thank you for placing your trust in our programs. As you can see, you have absolutely NOTHING TO LOSE. This is your time, your opportunity to push all excuses aside and just GO FOR YOUR Dreams! Continue to compare our fitness services with other providers in Singapore.